Forget about paying exorbitant high street prices on your Canon LBP3010 toners because we'll give you a much much better alternative as a low-cost online store. We pride ourselves on delivering Canon toner which you'll find reduced in price. Still not convinced? Cartridge Save aim to save your time and money by providing free next day delivery on Canon LBP-3010 toner. In case you wanted any further reason to get Canon LBP3010 toner at Cartridge Save then you must take into account the money back guarantee. Because we want you to get complete customer satisfaction each time you purchase toner printer cartridge we'll always give you a full refund if you're ever unsatisfied. Don't hesitate! Place your order today to save money! The Canon i-Sensys LBP-3010 printer is a monochrome laser printer aimed at the personal user and home office market, and it's also one of the lowest cost laser printers on the market. It is designed to be a small and affordable black and white laser printing solution for home users who need quiet and energy efficient operation with no complicated maintenance requirement on either the printer or the Canon LBP-3010 toner cartridges. The LBP-3010 prints at up to 14 pages per minute with a resolution of up to 2,400 x 600 dpi. This printer has a quick start feature that allows the first printout after starting a job to print in 8.5 seconds or less by using the printer's 2MB of on board RAM. It has a compact footprint of only 37.2 cm x 25 cm x 19.7 cm, and weighs 5.9 kg. The input tray can handle up to 150 sheets at one time. The Canon LBP-3010 toner cartridge that this printer uses is designed to replace all maintenance heavy laser printer toner components at once, like the drums and cleaning brushes, to avoid leaving home users responsible for laser printer cleaning issues. 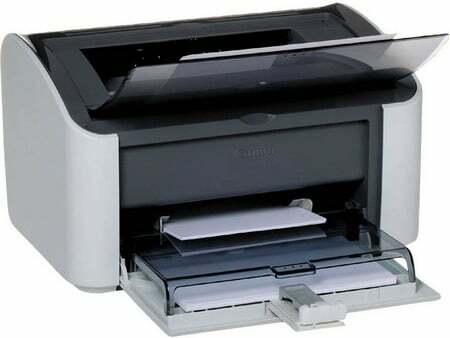 The Canon i-Sensys printer does a good job of getting a basic functional laser printer into the hands of home users at a reasonable price. The immediate print option is a great way to print a quick page, and the all in one Canon LBP-3010 toner cartridges save home users from the time consuming maintenance that is involved with some other laser printers. Unlike many other laser printers, users report that this printer comes with a full LBP-3010 toner drum instead of a half filled toner. Mac owners report issues getting the printer networked and remain dissatisfied with the available drivers. Unlike a low cost inkjet option, this Canon laser printer doesn't have any way to handle the colour printing that some home users may want.